A garden utility cart should be a place where you keep your essential gardening tools since you can carry it around with you quite easily. 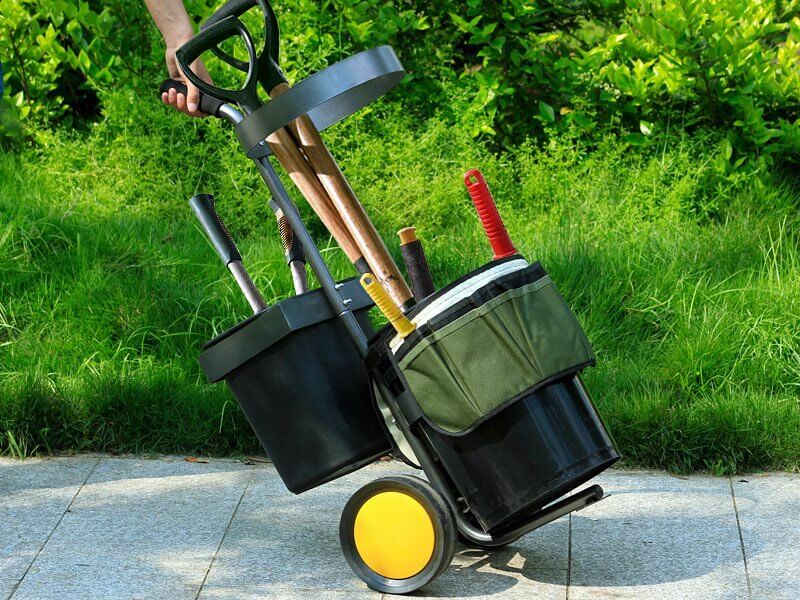 If you are a beginner in gardening, maybe you are not entirely familiar with what kind of tools a garden utility cart should contain. If that is the case, don’t worry, we are here to help you out. Today, we are going to tell you about the 5 must-have tools no person with a garden should be without. Let’s begin! What Should a Garden Utility Cart Contain? Your garden utility cart should definitely include a manual hand pruner to help you tend to your plants. You can use it to cut and prune your shrubs, bushes, flower, and so on, and it is something you cannot go without. 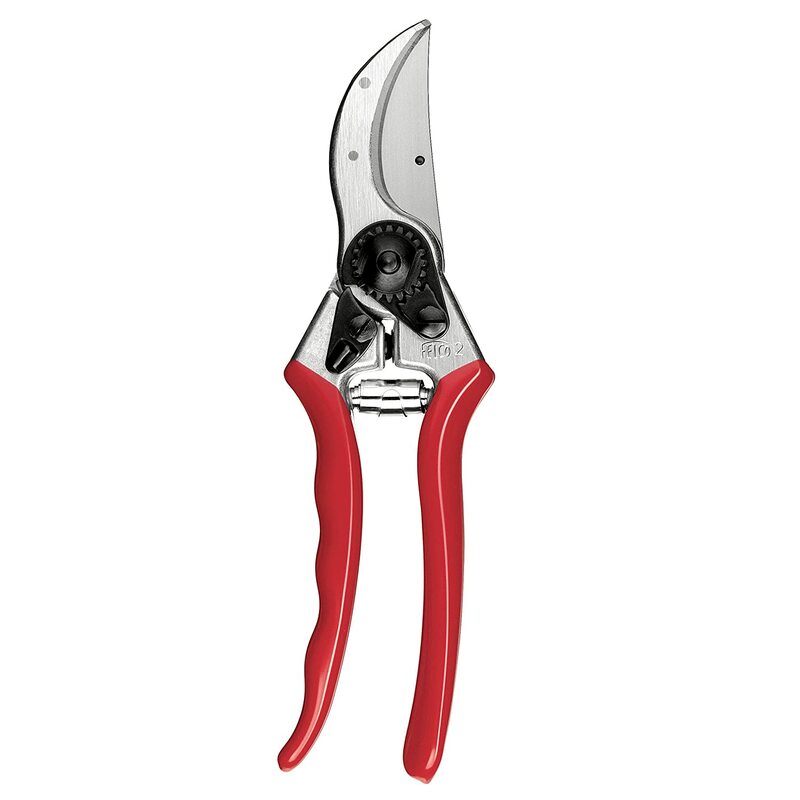 We suggest you take a look at the Felco F-2 Classic Manual Hand Pruner that you can find on Amazon for only $48.16. 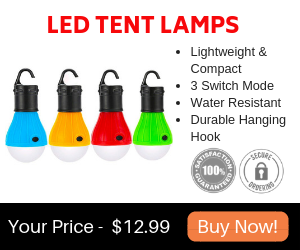 It is designed to be extremely precise and easy to use, it is lightweight, yet strong, and you get a lifetime warranty if you order it as soon as possible. The next thing you should definitely have in your garden utility cart is a rake. Rakes are great to help you keep your garden clean and free of debris and leaves. 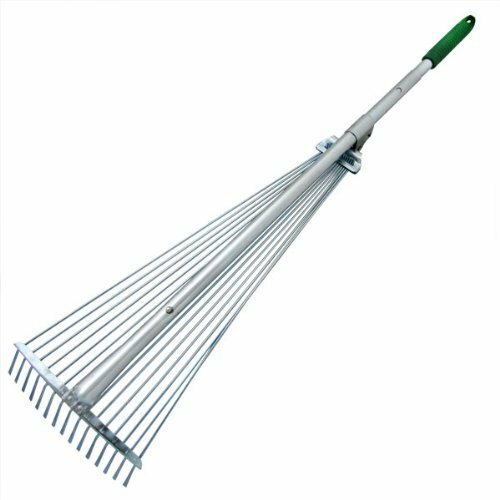 There are many types of rakes out there, but we recommend the Telescopic Rake from Amazon. It only costs $17.99, and it is made of metal, which makes it incredibly strong and sturdy. However, the handle is rubberized for your comfort, and you also have the possibility to fold it and extend it as you wish. 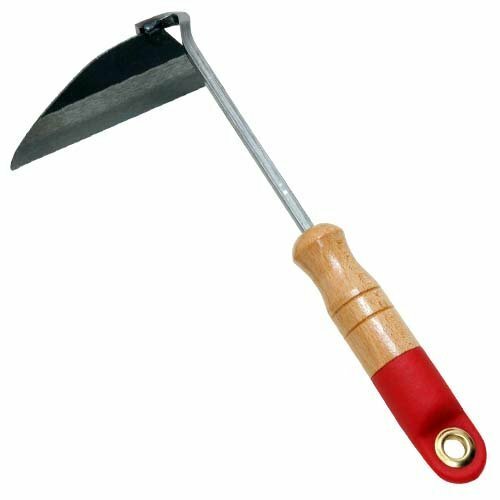 For those moments when you need to slice the soil or remove really stubborn weeds, a hoe is the best option you have. Depending on the type of garden you have, you might require a sturdier one, or a more delicate one. However, we thought we’d help you out with an option that you can use for both types of garden. We’re talking about the Nejiri Gama Hoe from Amazon. For only $7.99 you can get this small but strong Japanese hoe, with a wood handle and a steel blade. A shovel is another must-have in your garden utility cart. It is useful whenever you want to plant new things, adjust already-planted items, or change the landscape a little bit. For your convenience, we recommend a smaller shovel, such as the Bond LH015 Mini D Handle Shovel from Amazon. 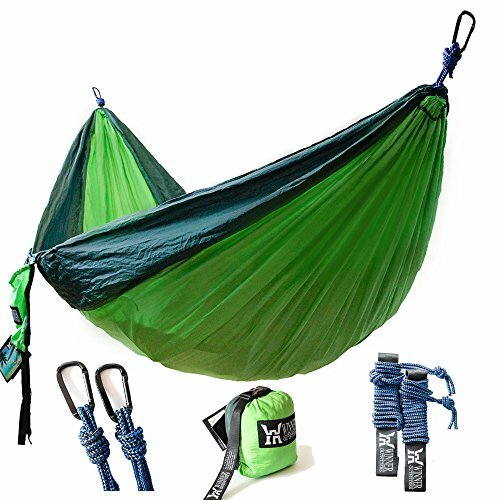 It costs $12.03, it is rust resistant, strong, yet lightweight. Plus, it comes with a warranty of 5 years. Finally, you definitely need something to help you water your garden. What better way to do that than to use a compact hose? It doesn’t take up a lot of space and it does its job perfectly well. 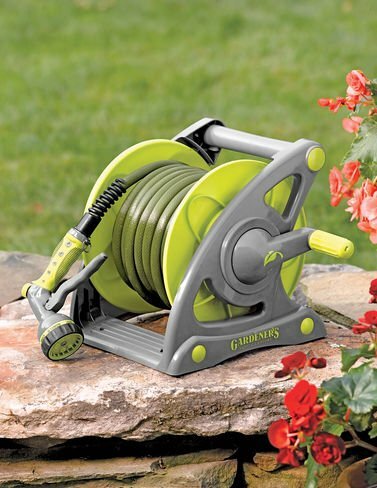 For instance, take a look at this Compact Hose & Reel Set from Amazon. 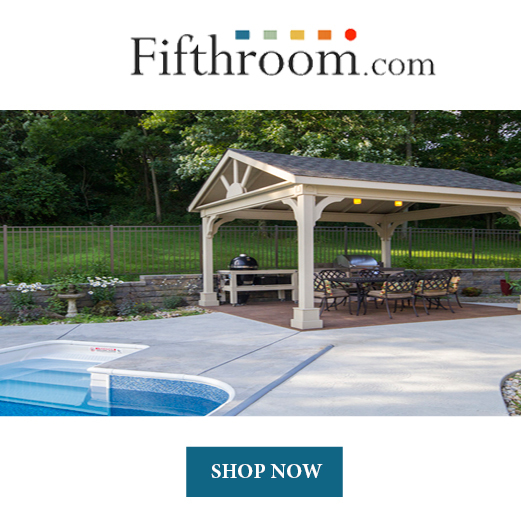 The hose is 50-foot long and you get the reel set as well, all for only $69.95. Now that you know what are some of the basic tools you should have in your garden utility cart, all you have to do is start shopping and build your own in no time.